Education is the key to success, not only in one’s career, but in life. Parents in Charleston, West Virginia have educated themselves, even after school, and recognized a serious problem in Riverside High School — Mold. Respiratory problems from inhalation of mold spores are the end result of a serious mold growth and indoor air contamination within this high school. Problems that not only make kids sick and keep them at home, but affect the quality of their educational experience in the classroom. Over time, a roof leak in the school has caused water damage and vast colonies of black mold to grow within hidden and visible areas. 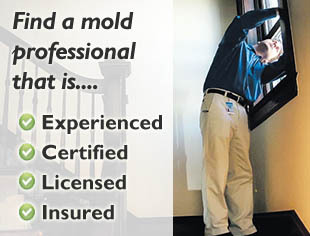 Black mold refers to certain types of mold, which are considered harmful or toxic when spores are inhaled by humans. 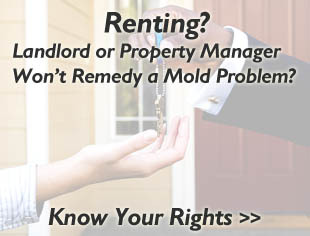 Note that not all mold is black and not all black mold is directly harmful. However, when significant amounts of any type of mold are present in the air, it can cause health problems in healthy or unhealthy individuals. Parents have filed a complaint with the Charleston Health Department. Officials have ordered a professional mold inspection with testing be conducted to evaluate the air and surfaces to determine the type and amount of mold present. More and more, parents, teachers and school administrators are becoming aware of mold as literally a growing problem in schools. This problem affects schools and other buildings alike, and can impact the quality of air in an indoor environment. This reduction in indoor air quality (or IAQ) can adversely affect the health of those who spend time in that environment.